We are introducing you to one of the most unique, innovative, and fun games you have seen in quite some time. It might not come as a surprise either that Core Gaming is the game developer behind it all – as they are already known for creating games like no other provider can. We are sure that this game, packed to the top with features and fun, will stun you in all its qualities. We proudly present; Beehive Bedlam Video Slot! The provider of this game is called Core Gaming. 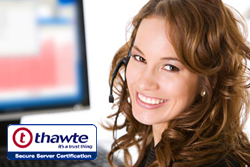 The company was founded in 2007 and is today one of the leading providers offering HTML5-based games. They have a nice collection of games, providing wonderful gaming experiences for desktop and mobile platforms. Core Gaming has succeeded to create an excellent gaming environment, thanks to their industry knowledge and strong experience. Core Gaming creates games inhouse and they have a strong team developing great game after another. In addition, they also co-operate with many famous names in the industry, which gives them for example opportunities to widen their game distribution for bigger audiences. These days, you will find Core Gaming’s games from many of the big casino operator’s game selection. Other games offered at Videoslots.com, from Core Gaming, are Balthazars Wild Emporium Video Slot as well as Pharaohs Wild. Now, we will find out everything there is to know about Beehive Bedlam! 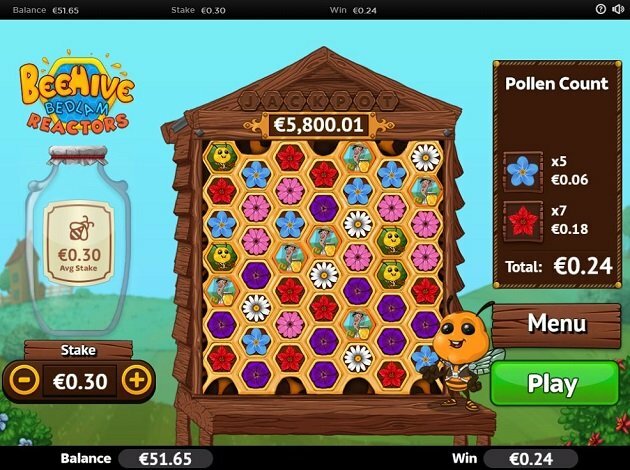 Beehive Bedlam is not an ordinary Video Slot, which you can see already at first glance. The reels are no traditional ones, as it is a beehive filled with web of honey – where the symbols takes place. The more of the same symbols you then land in the various nets in the beehive house, the higher your wins will be. Are you ready to find out more about this beelicious game?! The symbols you can come across on the reels of Beehive Bedlam Video Slot are all made according to the theme, to suit it perfectly. These lower valued symbols are the red flower, the blue flower, and the pink flower. The medium valued symbols are then the beekeeper with net on his head as well as the purple flower. These are worth between 40 and 50 when landing 15x of the same symbols. The higher valued symbols are quite rewarding, and you can see these as the daisy, Buzz the bee, the boss man with smoking cigar and a rough attitude, as well as the queen bee. These are all worth between 800 and 3000 when landing 15x symbols of the same in the symbol grid. But apart from these awarding yet basic symbols, there are also a few extra symbols to keep a lookout for when in the game. You have the Free Falls Symbol which can trigger a rewarding Bonus, landing golden letters can take you to a Jackpot, the beekeeper can trigger another feature and this comes with the opportunity to open new worlds. We will reveal all about these very soon! Beehive Bedlam Video Slot is certainly one of a kind, a game that doesn’t offer you the normal kind of symbols or reels. The game is set up with a beehive of nets, and in these nets are the symbols. These then replace the standard kind of reels, and when landing at least five symbols in connection to one another, a win is landed. The game is very well-made, with graphics and designs that both lure you in in an instant. You can see and feel the vibes of the cheerfulness of the game, and the upbeat music helps this a lot on the way. The beehive is placed in the middle of the game, with a surrounding of a green landscape on the countryside. To the left you have the honey jar and to the right you have the pollen count – as well as Buzz the bee cheering you on during your gameplay. As mentioned above, the reels are no ordinary ones in Beehive Bedlam Video Slot. The “reels” are of a beehive net, and in this net, are the symbols. When landing five or more connected to each other, a win is triggered. When a new “spin” is being spun, new symbols will drop from above and land into place in the nets. To the left side of the reels, you can see a jar of honey. This is the meter where you collect the beekeeper symbols, and it is your way to the Bonus game. Collecting symbols of the beekeeper will help you add honey to the jar, and the jar has 20 levels. Once you reach the top of the jar, the Honey Jar Bonus is triggered. This Bonus basically contains of Multipliers and the winning Multiplier of the Bonus is based on your average stake. But there is also a mini game in this Bonus, one featuring Buzz the bee. When the Bonus is triggered, you simply press the screen and Buzz will start flying. Your goal is to avoid obstacles and collect gold coins to complete the Bonus. In the game, you have 10 worlds that you can open throughout your gameplay and each world has 10 levels. To complete a world, you need to receive an additional World Bonus payout along with a themed outfit for Buzz. The World Bonus Multiplier will also be based on your average stake. When reaching a new world, a pop-up message will appear of what your un-lock and the award you are given for the achievement. These all contain of various features and worlds. The Free Falls Feature is triggered when landing on at least three of the “Free Falls” symbols. When this happens, all high valued symbols and extra Free Fall Symbols will be added to the Bonus for extra high wins. The Progressive Jackpot of the game can only be won in the Free Fall Feature – and to win this, you need to highlight the word “JACKPOT” in golden letters to win the staggering amount of 250.000! As you might already have realized, Beehive Bedlam is quite an awarding game – one that takes you on a gaming experience that you have never seen before. You can be greatly awarded all while enjoying a fun time along with thrilling adventures. We wish you the best of luck in your gameplay!